عندما تزور هذه المدينة رائعة الجمال، ستشعر أنك في بيتك في Mercure Nadi Hotel الذي يقدم لك إقامة متميزة و خدمات عظيمة. يسهل الوصول إلى هذا الفندق ذو 3 نجوم من المطار، فهو يبعد عنه مسافة 5 km فقط. إن سهولة الوصول من الفندق إلى المعالم السياحية الشهيرة الكثيرة في المدينة هو استثنائي بحد ذاته. 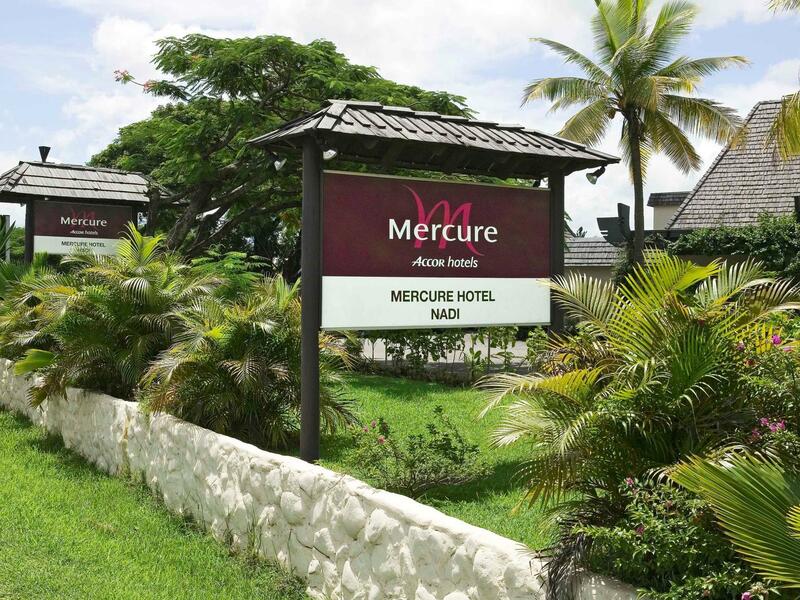 إن Mercure Nadi Hotel حريص على توفير الراحة للنزلاء، فلا يوفر الموظفون جهداً في تقديم أفضل الخدمات وضمان حسن الاستقبال. يمكن للنزلاء الاستمتاع بالميزات التالية: أمن على مدار 24 ساعة, متجر, خدمة التنظيف يوميًا, متجر هدايا/تذكارات, خدمة سيارات الأجرة أثناء إقامتهم في هذا المكان الرائع. لقد جهزت هذه الإقامة الفندقية بعناية فائقة لتوفر مستوى عالي من الراحة. في بعض الغرف يجد النزيل بياضات, مناشف, اتصال لاسلكي بالإنترنت, مكيف هواء, خدمة الإيقاظ. صممت خدمات الاستجمام في الفندق والتي تتضمن مركز للياقة البدنية, حمام سباحة خارجي, تدليك, مسبح (للأطفال), ملعب تنس لمساعدتك على الاسترخاء والراحة. 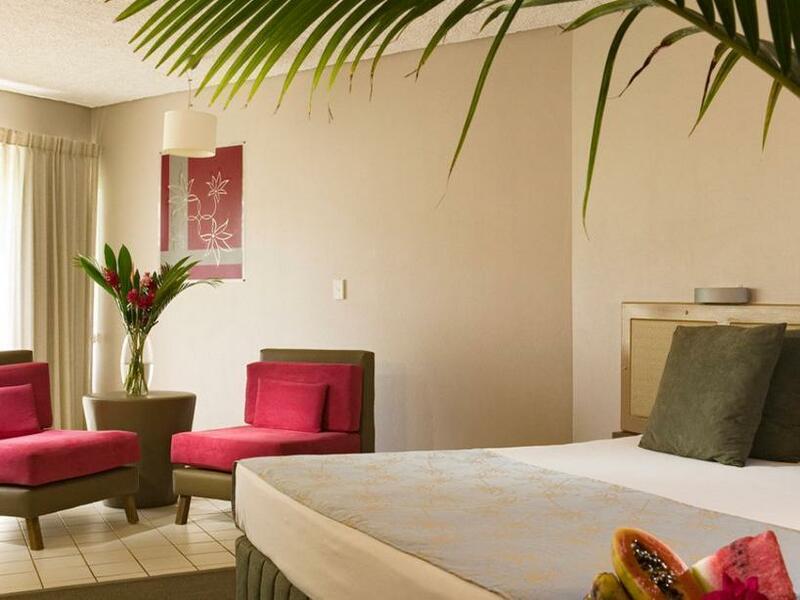 يحظى فندق Mercure Nadi Hotel بموقع ممتاز وخدمات يصعب منافستها. 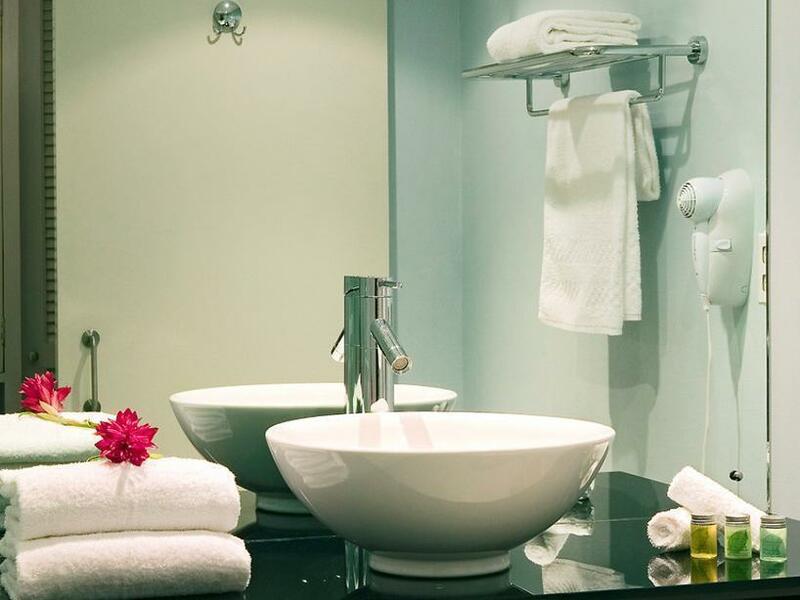 Friendly and helpful staff, Comfortable room and bed, Plenty of hot water and good pressure. Lots of charging sockets. No internet in my room, only in the reception/restaurant. A good selection for breakfast. A selection of restaurants, ATM, and shops/supermarket within short walking from the hotel. Had to checkout 7 days early from this place. Big AirConditioning problems. Rooms are very very old and not maintained, eg, missing drain plug in shower, cracked tiles, and the AirConditioning is an extremely old system, where there is no remote.... just a 3 dial system where the air comes from an opening near the ceiling. IT WAS NOT WORKING. Had to check out early as did other guests. Price was so nice. But one of staff was no good. When we have been to the beach I asked staff then he gave me dirty towels. And his hospitality was so bad. But room and view was awesome. From hotel to everywhere is convenient.night club and super market and pharmacy etc.... I can recommend!!! Our room is not so large but the service is quite good. The taxi to downtown costs normally 5 FJD. We also met a taxi driver who did propose us to shopping after our visiting indian temple (1 km close to downtown). We didn't follow him while he asked us to pay 12 FJD. We apprciate a lot the free pickup shuttle bus at Nadi airport. The meal in hotel looks not so expensive while our dinner (2 adults + 1 kid) within the Chinese restaurant in front of Hotel costed 120 FJD! If doing some research before arrival, we'd know an ATM for cash just beside and a supermarket 200 meters close to Hotel. What I like in this hotel is the pool area and the restaurant though the facilities is a rundown, this hotel needs refurbishment in their rooms. Staffs are very friendly and I like their breakfast buffet. Central and had everything we needed. Bathrooms could be cleaner, and pillows were lumpy. Fresh milk in the fridge for coffee would be appreciated. Very good & professional airport drop off (free). Pool area and grounds looked well maintained although we didn't use them. Close to supermarkets and restaurants. Unfortunately there is a lot of road works outside the hotel causing dust which is settling in the rooms and the pool and the dining areas. 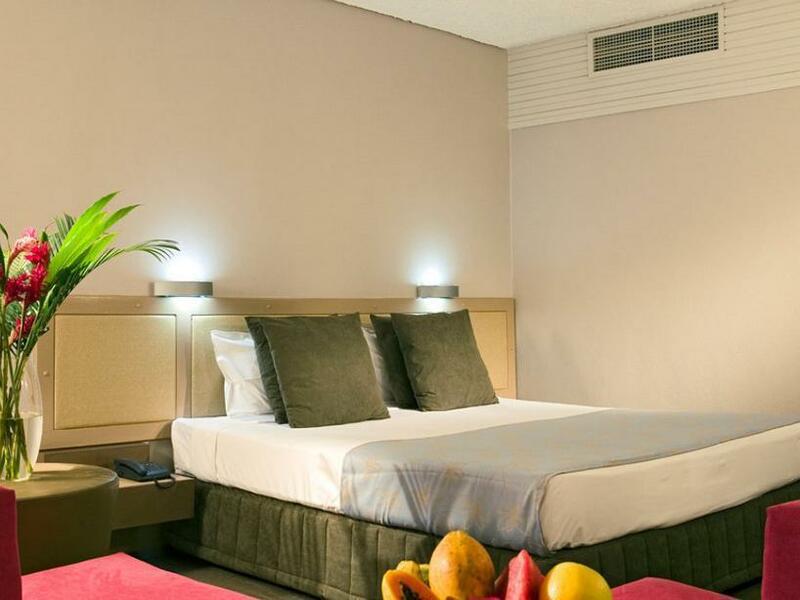 Otherwise the hotel is well situated, the staff are fantastic, the rooms are clean and comfortable, the facilities are good and the ;location is great. The duty managers are extremely helpful, knowledgeable and go out of their way to help, even when some of the A.... guests are really rude as observed but they maintained their friendliness and professionalism as Fijians are renowned for doing. Well done Mercure employees for making my experience unforgettable. 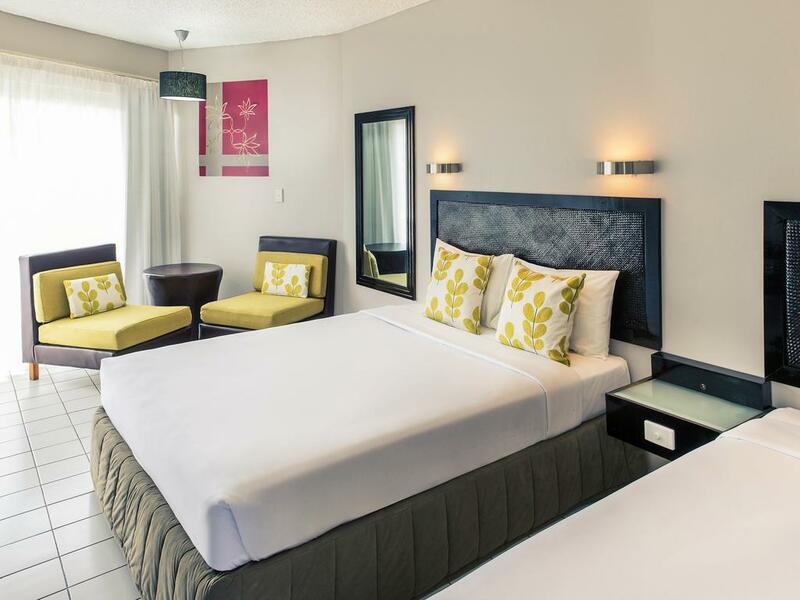 Recommended for business trips, well priced and well situated. 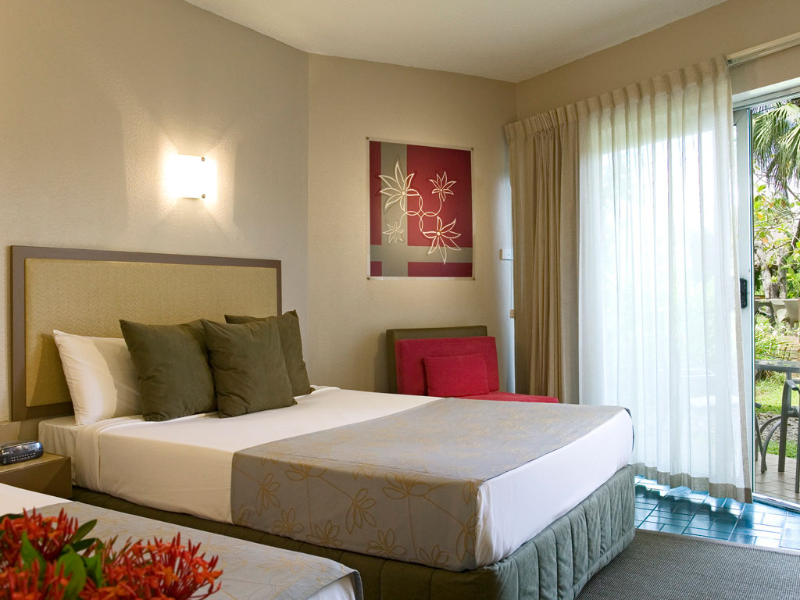 Dear Norman, We very much appreciate your comments regarding your stay at the Mercure Nadi. It is always a pleasure to receive positive feedback. I will share your comments with our team. I am sure that this feedback will serve as an encouragement to all of our staff as we strive to continuously improve the quality of our services. Thank you again for sharing your experience, and we hope your next visit will be as pleasant as the previous one. "Vinaka Vakalevu"
We stayed one night between flying into Nadi and ferrying out to the Yasawas. The pros: The room was spacious and there was a balcony. The pool was a comfortable temperature. The staff was very pleasant and smiling. It was one of the stops that the ferry transport bus picks up from. And it was fairly close to the airport. There was a grocery store a block away. The cons: there wasn't an elevator. A worker toted our bags for us to the room to the 3rd floor. We hauled them down to leave. We're travelers who usually carry our own bags. The pool hadn't been cleaned lately and there wasn't a pump to skim off the floaters. Overall the hotel was good. Hotel was clean and definitely value for money. I would've liked to control the temperature in the room but it wasn't a deal breaker. I'll definitely be back if I need a stop over when arriving or departing nadi in the future. lower ground rooms not so nice - bed sheets/ pillows could be cleaner. Breakfast is ok if not attacked by birds (which are all over the resort and a real pest, if you have the slightest bit of food) ...also all over the balconies on the higher floors so don't expect to sit out there in peace. Most staff were ok - the egg/ bacon makers for breakfast were the friendliest. No free wifi. Pool area really nice. Good location for supermarket and a couple of decent restaurants and access to the airport/ Nadi town and the port. Worth a stopover. really fantastic staff throughout in this hotel during our 2 night stay. Special mention to Ms Sereana & Ms Sarah from the front office, both them went the 'extra mile' to make our trip in Fiji filled with sweet memories! Heartfelt appreciation! The hotel located near big supermarket. The hotel offers free transport from airport. There is no sign waiting for you at arrival area but you can find the hotel shuttle bus at the parking area. Breakfast is quite low standard no need to pay more fir this poor breakfast. Room is really small and not so much clean. The swiming pool is small and not clean. The price is quite high as compare to the hotel quality. This was our first hotel stay in Fiji, it was located in a busy area which was good for getting around in the city of Nadi. It was also a good starting point for tours/ferries. It was comfortable close to American standards. Lovely staff. Average location, but easy to jump on the very cheap buses. We stayed here a few night before we flew home as was easy to get to the airport. Hotel had the basics and was clean. Breakfast was enjoyable. 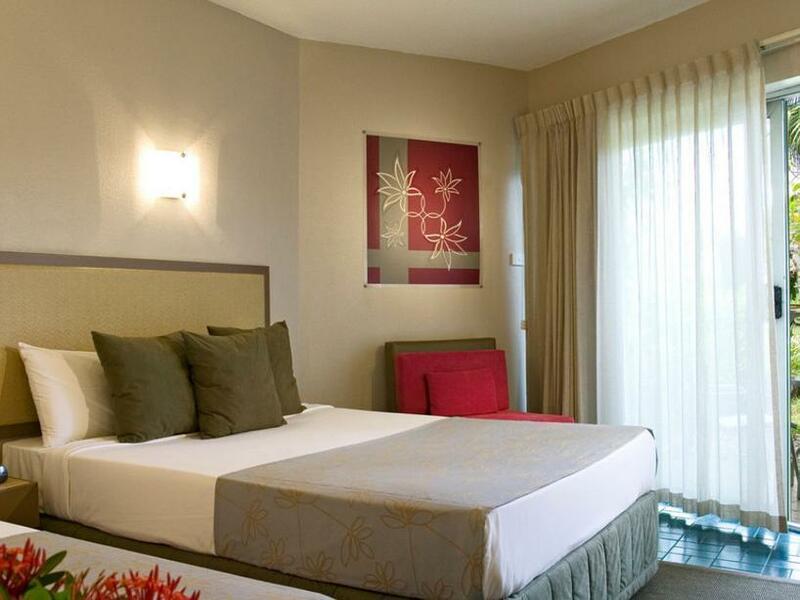 Mercure Nadi hotel Is only 15 minutes to airport.. and there is also a free shuttle bus from airport to hotel. The hotel is located in a good place but the stay is so bad that it outweighs ths lication.